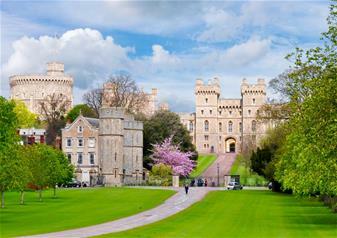 Windsor Castle is the largest and oldest occupied castle in the world, dating back almost 1000 years and is an official residence of Her Majesty Queen Elizabeth II. During your visit, you can explore the plush royal State Apartments, steeped in history and abundant with antique furnishings. Lining the walls are priceless works of arts for you to admire by artists such as Rembrandt and Rubens. Be sure to visit The Queen Mary’s Dolls’ House which is truly a spectacular model. It’s one of the largest, most famous and beautiful dolls’ houses in the world. Built for Queen Mary in the early 1920s, you’ll get to admire the fabulous details of this model royal home; complete with electricity and working lifts this is a real treat to see. During your visit, you will also see St George’s Chapel, the final resting place of 10 monarchs and the royal wedding venue for Prince Harry and Meghan Markle. Soak in sights of the gothic architecture of the stunning chapel which is considered as some of the finest in England. Have the opportunity to discover more about the exquisite city of Bath with a walking tour. Led by an expert guide throughout, you will learn of Bath’s rich history and get to venture down the idyllic streets whilst you discover fascinating facts about the city.